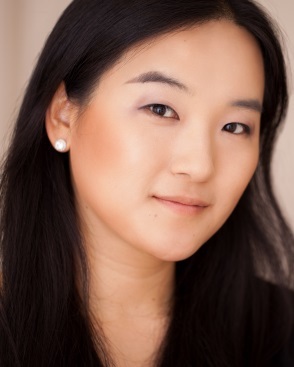 Sun Young Chang has worked extensively both teaching voice and performing for over a decade, both in her native Korea and in the United States. She received her Masters and Professional Studies Diploma from Mannes College of Music, and made her Carnegie Hall debut in 2006 (and returned in 2007, 2008, 2009, and 2010). She was named a Finalist in the Connecticut Opera Guild Competition and the Violetta Du Pont Vocal Competition, and a Semi-Finalist in Rochester Oratorio Vocal Competition and Joy In Singing Competition. She has performed opera roles such as Mimi, Lauretta, Giulietta, Micaela, Donna Elvira, Pamina, Nella, Gilda, Anne Truelove, and Zerlina, with such companies as Empire Opera, the Delaware Valley Symphony Orchestra, Kaye Playhouse, and the Actors Studio. Also a Teaching Artist for the Metropolitan Opera Guild, she has worked as a private voice instructor and coach since 2002. She teaches actively at Kean University, Concordia Conservatory of Music and Art, Rosedale Achievement Center, and Wartburg Adult Care Community, and has been faculty at the Berkshire Choral Festival, Westerhoff School of Music and Art, and the Joy of Singing LLC. She also volunteers actively, concertizing at Women In Need Casa Rita Drug Abuse Clinic of the Bronx and gives her time regularly for Sing for Hope.